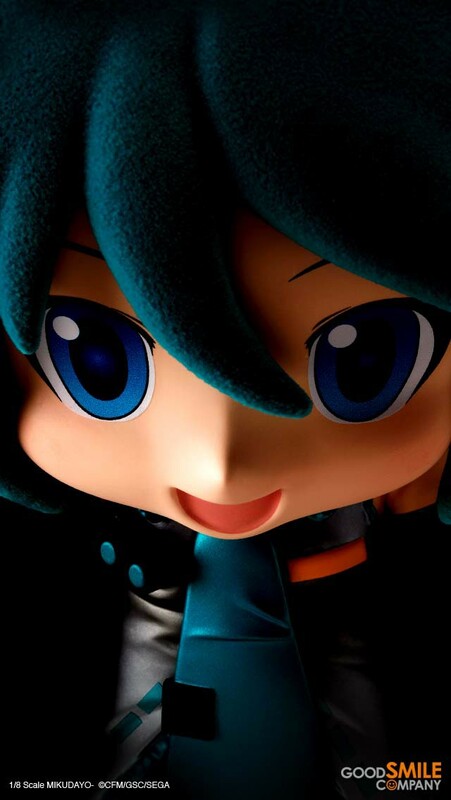 Mikudayo- is back again, this time made from soft vinyl! 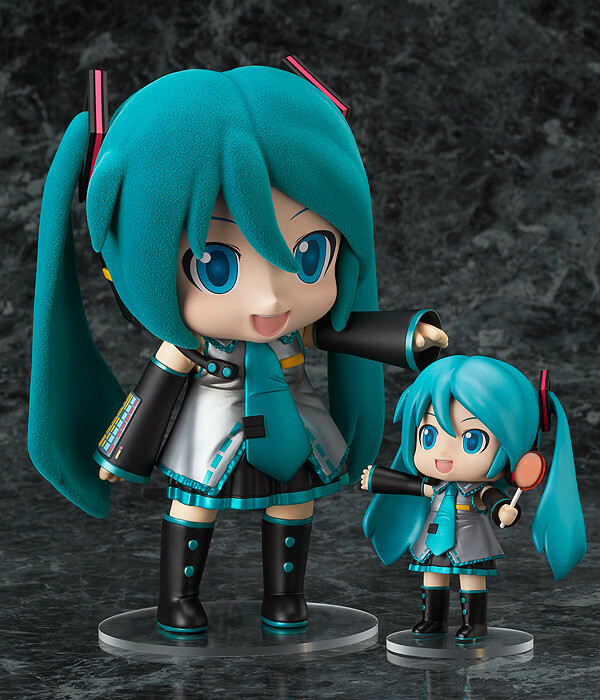 The popular Mikudayo- character costume based on 'Character Vocal Series 01: Hatsune Miku' was first transformed into a Nendoroid, and now is also on her way to becoming a 20cm tall 1/8th scale vinyl figure as well! The hair section on the figure even makes use of the same texture as the original for a truly realistic rendition of the costume! 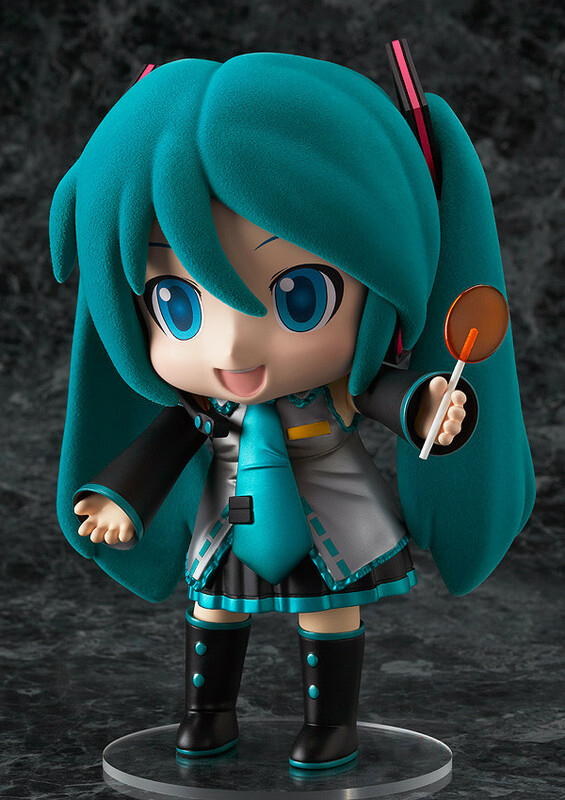 As an optional part, she also includes the Mikudayo- x Fujiya collaboration product, 'pop candy', which she can hold in her hand for a slightly different pose! 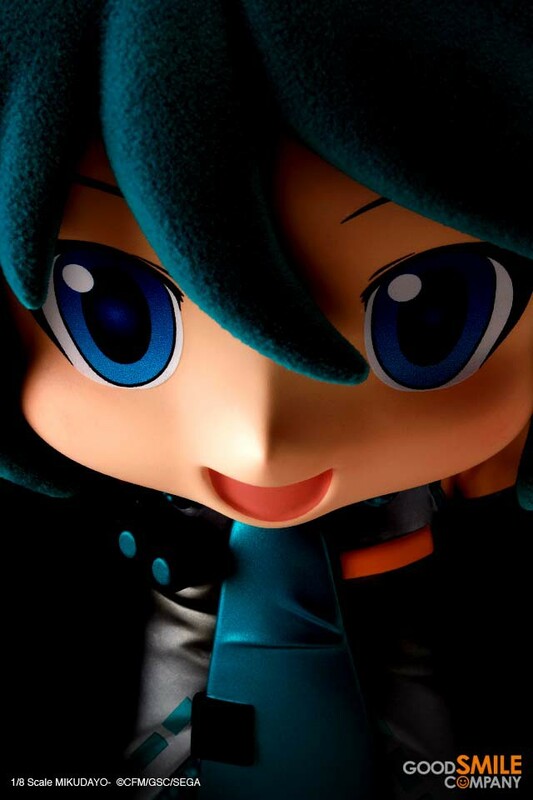 Special Mikudayo- wallpapers are heading out to visit the product pages of other Miku figures! Find them to recieve the special wallpaper! For more information on where she is each week, be sure to follow @GSC_GUMA on Twitter! 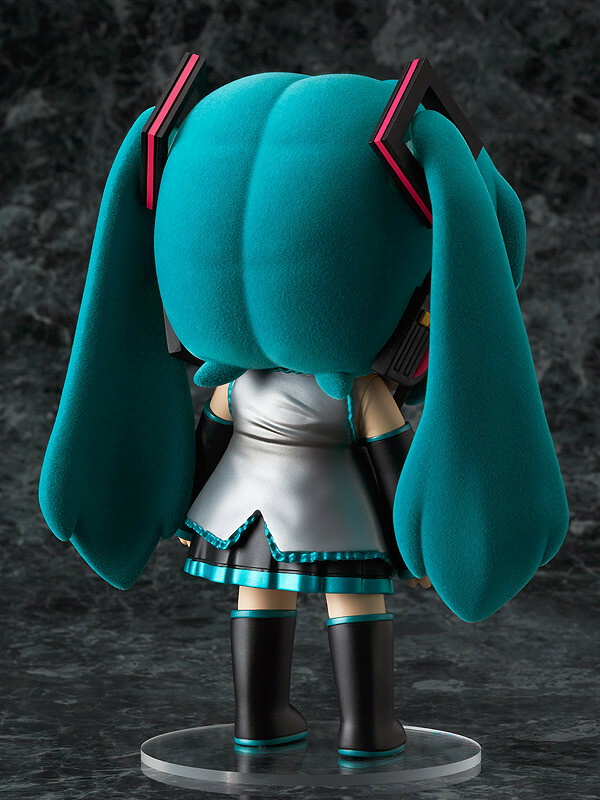 She's currently visiting the Miku figure that looks the same as her! * The special wallpaper will appear under with the product thumbnails. * If you find it, simply click the wallpaper thumbnail to enlarge the image and then download the wallpaper! 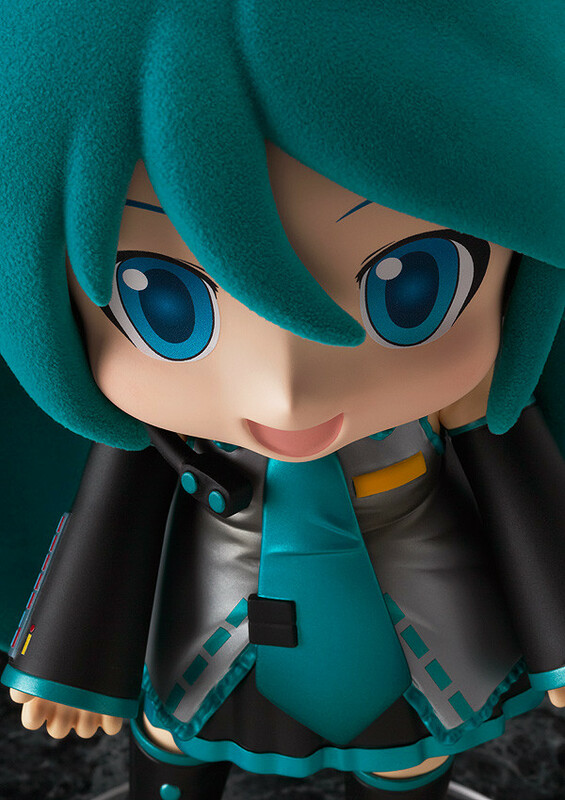 Special Mikudayo wallpapers are visiting other Miku products! 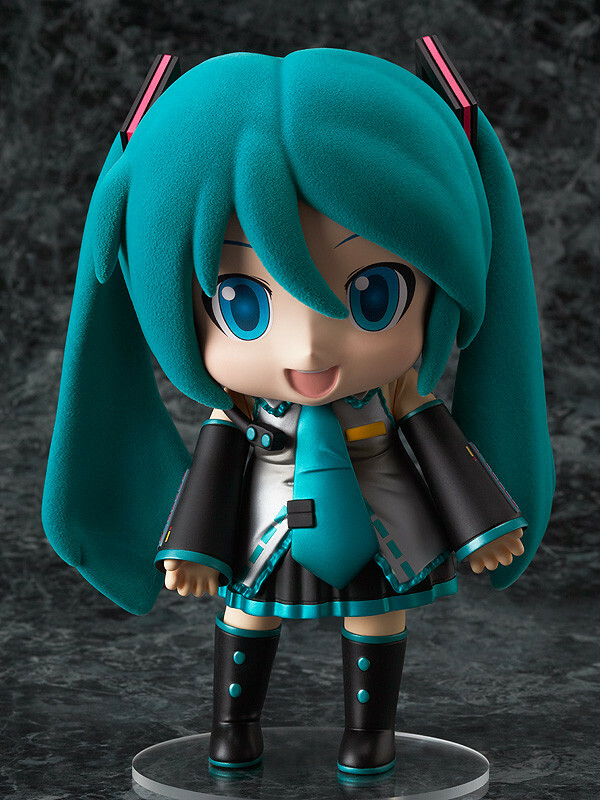 See the 'Mikudayo' product page for more information! Painted 1/8th scale ABS & PVC articulated figure with stand included. Approximately 200mm in height. Orders can be placed between the 4th December 2012 (Tue) from 12:00 until the 9th January 2013 (Wed) at 21:00.